Each term you teach a course you need to re-order your course readings for them to be active in Brightspace by D2L. Please follow the following steps to give access to the Library so we can work on making your readings available for your students. 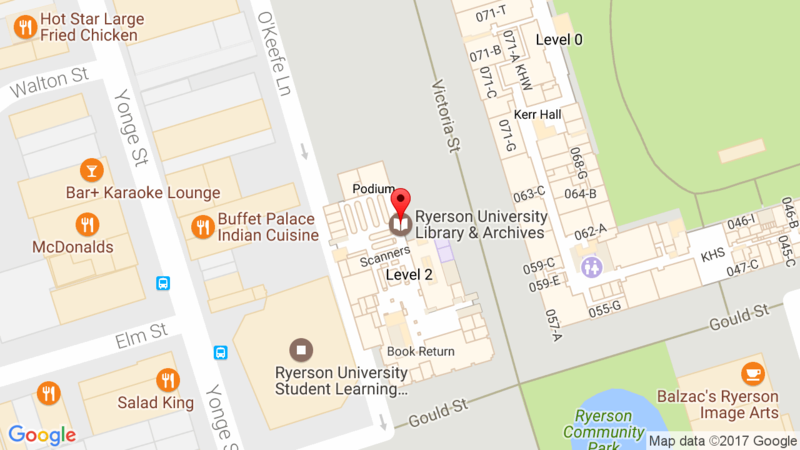 Go to my.ryerson.ca and sign in using your my.ryerson username and password. Find the section called Manage My Resources. Click on the link Courses and Organizations. Scroll down to the Courses and Organizations section and click Request and Manage Shell. Click the option to request a “D2L Course Shell”.On the ‘Request a D2L Shell’ form you can check the check box under Library eReserve to indicate that you want to use the service. Cloning your request from last time your taught the course when you create your course shell: For those who have used e-reserves before, please also check the second check box to inform the Library that you are re-using the same materials. If you have already made your course shell and did not check this box ask DMP courses@ryerson.ca or DE dehelp@ryerson.ca to add the Library to your D2L course(s). You can still clone your course via the Self-Service option (see below). Did you know that you can submit your readings via a Self-Service option within Brightspace by D2L? The following workflow can help you add your readings yourself or clone your course reading list from the last time you used E-Reserves. You can also add readings to your course throughout the term using this method. To access the Library’s Course Reserve system click on Content or RESOURCES tab and then the ONE STOP COURSE READINGS link in the menu sidebar within your course shell in Brightspace by D2L. To add a new reading click on ADD COURSE READINGS item on the left-hand side of the course menu page. You will see various material types that can be added as electronic course readings. Click on the icon for the type of material you want to add (for example an article). Enter full citation information for the article. Content must be entered in all fields marked with asterisk. To expedite processing provide as much information as possible. Tip: The TAGS field can be used to assign keywords to your readings so that they can be grouped by topic or week. E.g. health, week1, week 2 etc. Tags allow you and your students to filter how course readings are displayed. Week based tags help us organize the priority of your readings. Indicate how the item will be supplied, and supply link or upload document. To clone your previous reading list click on ADD COURSE READINGS item on the left-hand side of the course menu page. You will see an option that says “Or would you Like to import Items from a previously taught course”? A list of previously taught courses where you used E-Reserves will be listed below. Click on the course you would like to reuse. If you want to use all the same readings as in the previous term use the CHECK ALL option. If you only want to use some of the readings then only check the box next to the readings you would like to use. Click the IMPORT ITEM button to complete the process of cloning your course reading list. There may be up to a 5 minute delay to show a successful clone. Please only press the button once as each time you click on the button you will clone the course.